Senior lecturer in Behavioural Economics at Middlesex University, London, UK. Experimental economist. Studied economics and psychology at the universities of Amsterdam and Exeter. Did my PhD at the Center for Experimental Economics and Political Decision Making (CREED) at the Univerisity of Amsterdam. 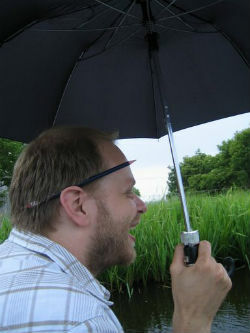 Worked previously as post-doc at the University of Kent at Canterbury, UK and at the University of Osnabrück, Germany. Interested in studying cooperative (and non-cooperative) behaviour, group decision-making and leadership. last update: april 19th 2012. Powered by Blogger.